Radial riveting is a cold-forming process used on parts where an angled peen or forming tool attached to a spindle moves 3 to 6 degrees off-centre and applies axial and radial forces to a portion of a rivet or studs. There is little axial force and the material predominantly flows radially. Our radial spin riveter is a speed-optimized machine with indexing table. 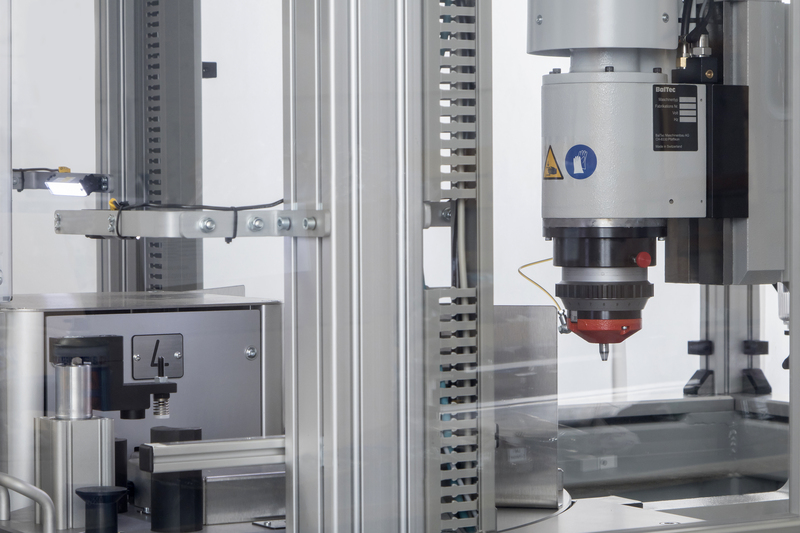 The radial powerhead is mounted onto an XY cartesian robot, and the riveting head position is checked and adjusted according to the measured actual rivet position. With the camera system, we ensure the concentricity of the rivet head every time. – First: we measure every rivet position on the part. – Second: we form the rivet head with correctly positioned radial powerhead.